This is our inspiration page. A showcase of some of the great ways that heat can be utilized. Read through them, and if you have an example you would like highlighted, please get in touch. 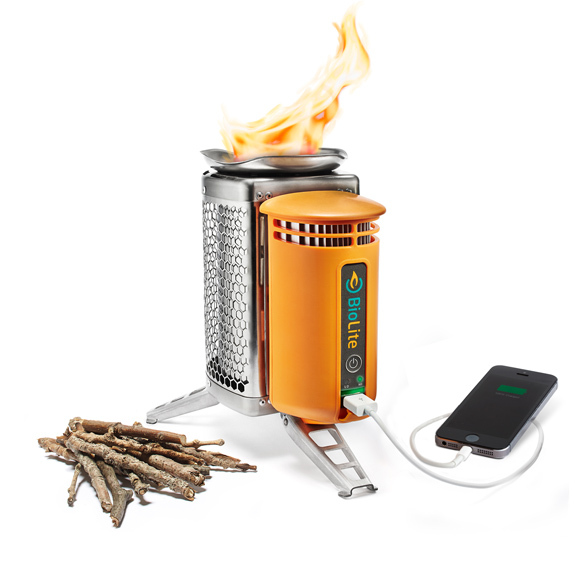 This stove not only combusts wood for cooking more cleanly and efficiently than a traditional stove, but it also includes a thermoelectric generator that can charge a cell phone and other USB devices. The company, BioLite, makes a range of similar products and is helping rural communities get cleaner, more affordable power. Trigeneration: electricity, heating, cooling... all in one. 3 reciprocating engines operating on landfill gas provide electricity for a Coca Cola facility. The project engineers also designed the system so that the waste heat from the engines is used to heat up a steam loop that enables a chiller to operate (for cooling at the factory) as well as for heating when it is required. A 7MW heat to power plant was installed in Germany in 2012. By using the previously wasted heat to generate electricity, the cement plant now gets 1/3 of it's power from it's own heat to power production. The power generated on site will offset an estimated 30,000 tons of CO2 per year. At a large aluminum plant in Dubai, electric chillers were operating to cool the main production lines and rooms within the facility, while the heat from the aluminum facility was vented into the air. Exhaust gas absorption chillers were later installed, saving 242,000MWh of electricity per year... that's enough for approximately 23,000 US homes. This device, when placed on a freestanding stove, spins a fan to more efficiently and quickly distribute heat throughout a room. The manufacturer claims it will heat up a room 38% faster than a stove alone. The fans have a built-in thermoelectric module that generates enough power from the surface of the stove to spin the fan, that distributes heat around the room. These are just a few examples that we will be adding to in time. If you have suggestions, get in touch. Sign up with your email address to receive news and updates. We won't send any newsletters more than once a week.